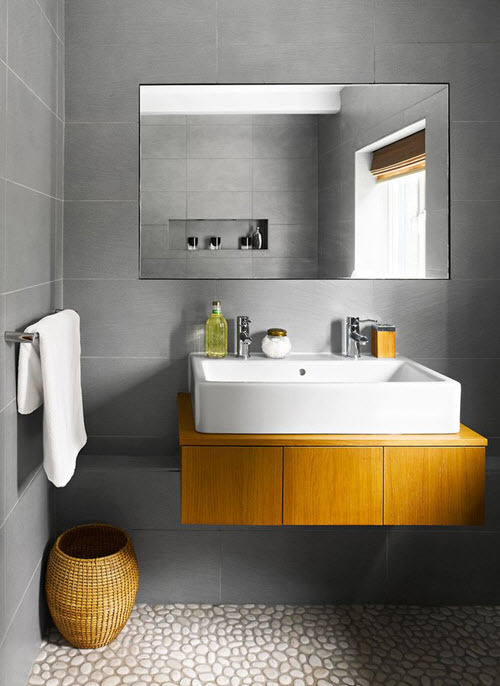 Grey and its shades are one of the most popular colors for bathroom interiors. 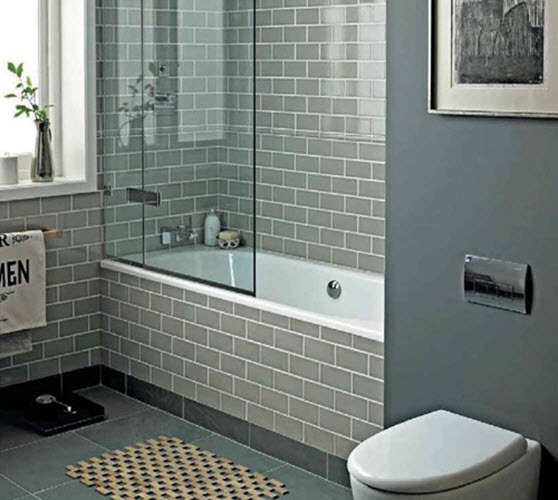 Despite its lack of bright hues, grey is still quite desirable among designers and homeowners alike. 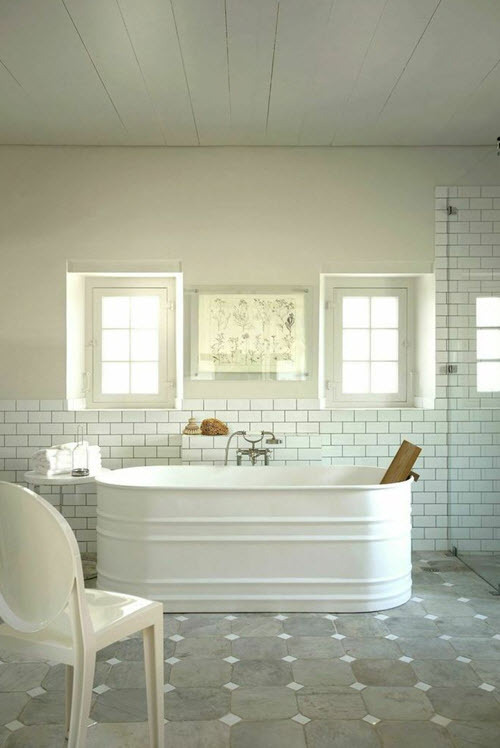 Some people find it too boring and dull but it is not true. 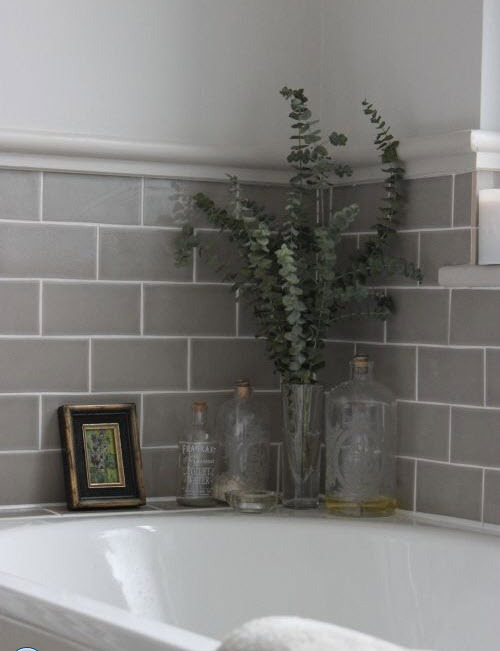 Grey can be a great canvas for creating interesting interiors, especially for adding bright decor items and emphasizing unique details in your room. 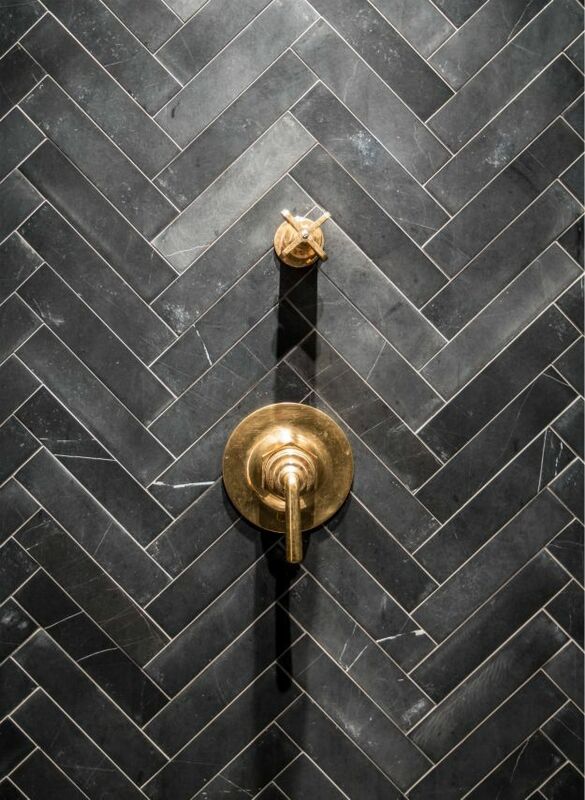 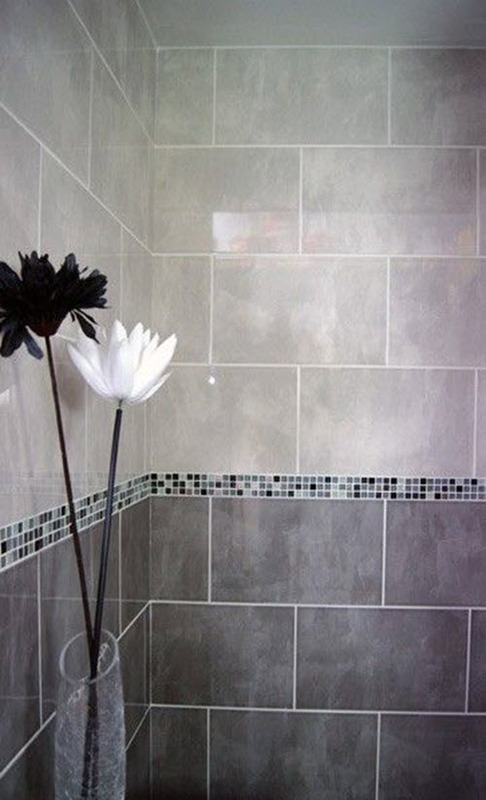 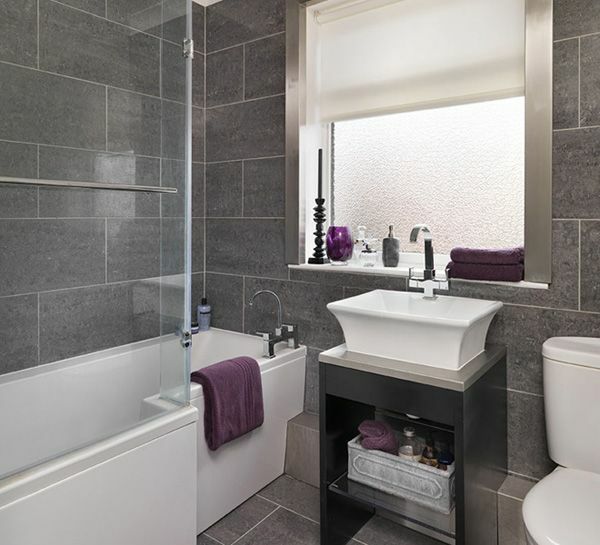 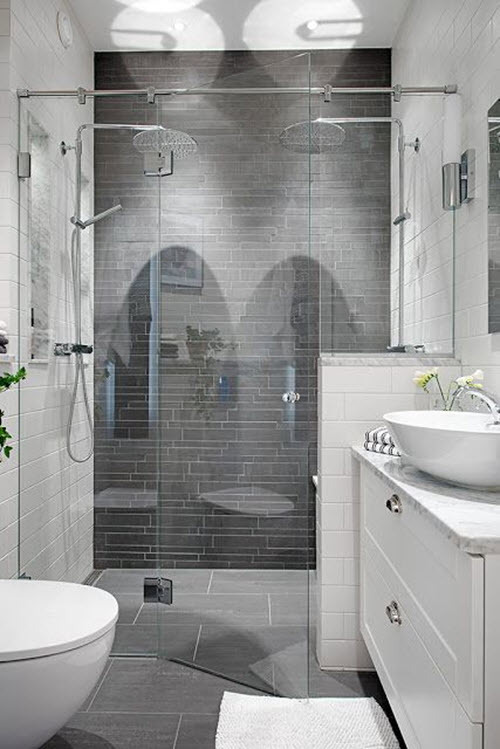 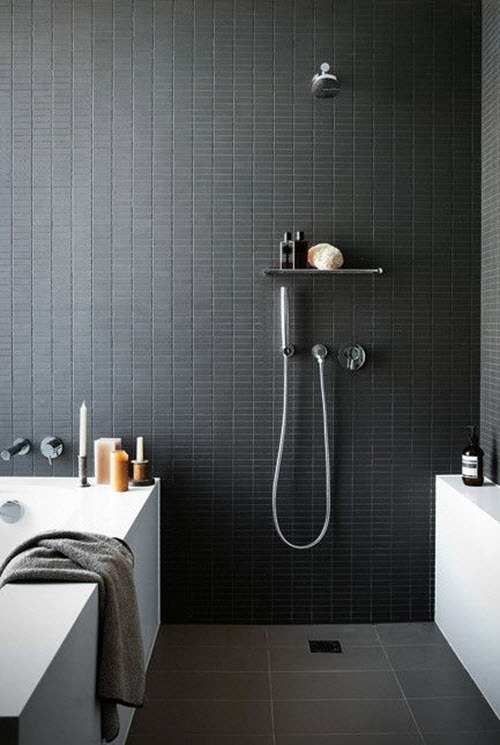 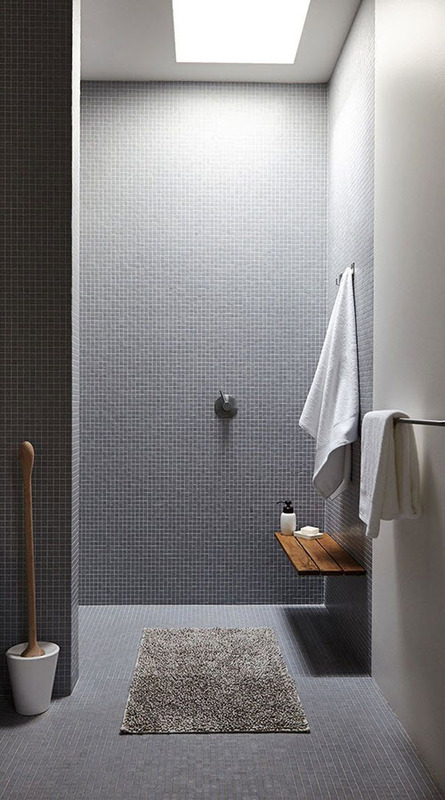 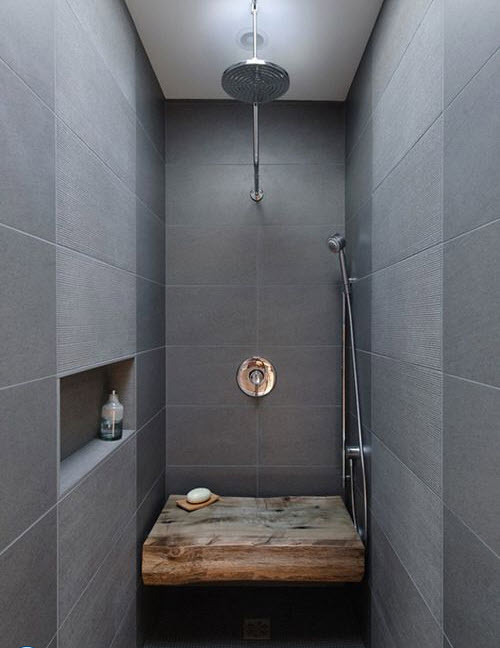 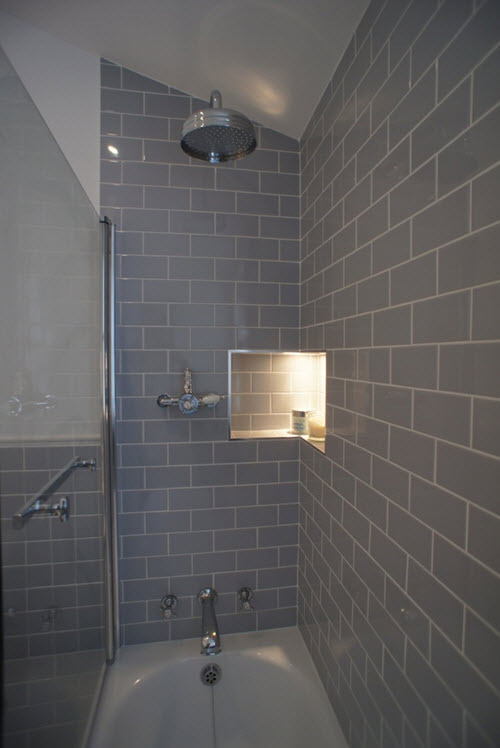 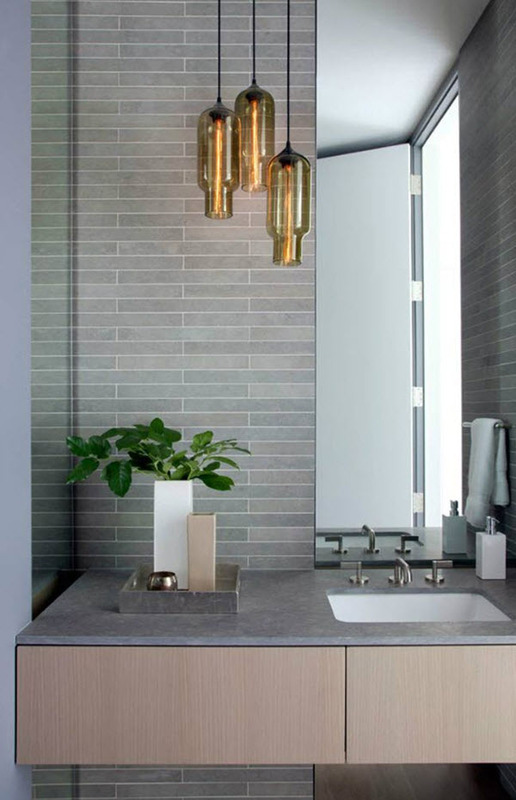 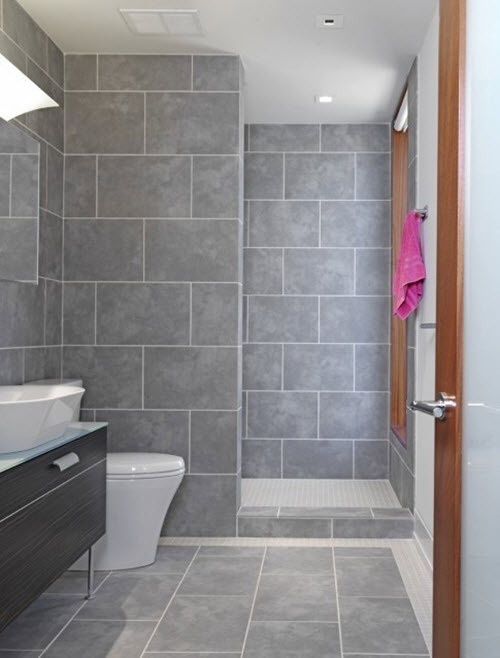 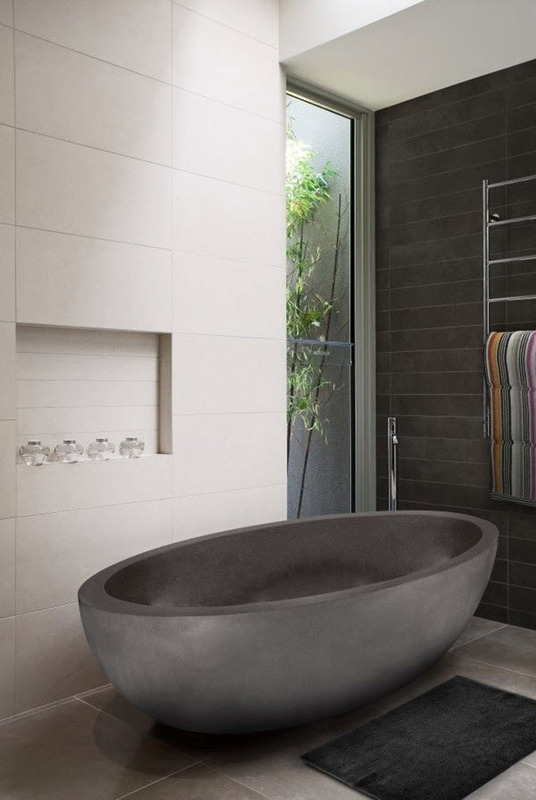 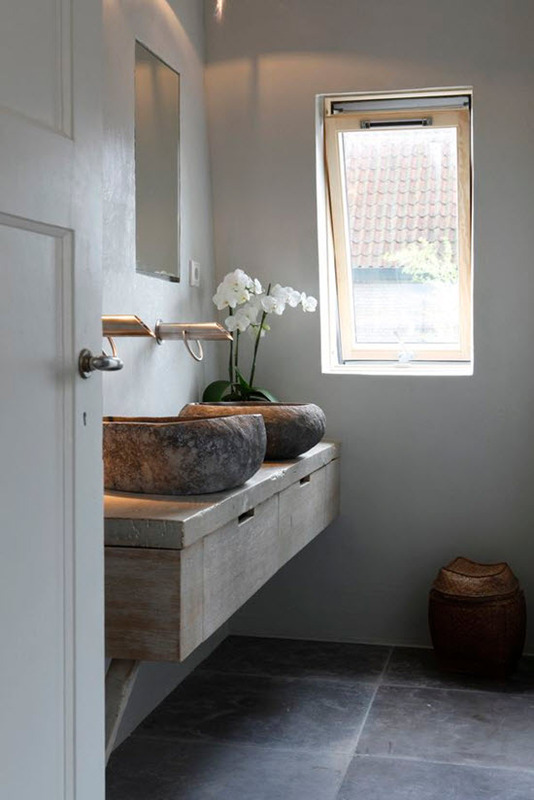 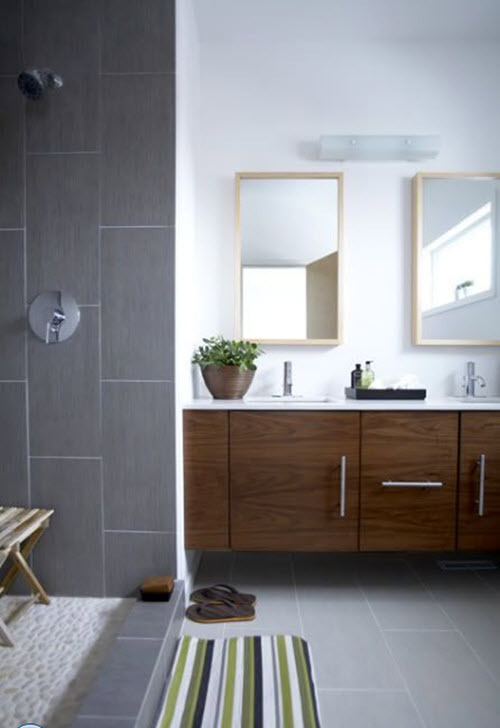 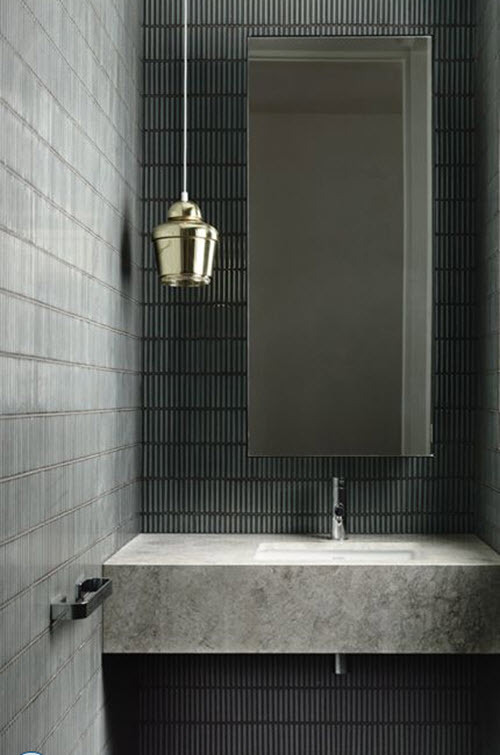 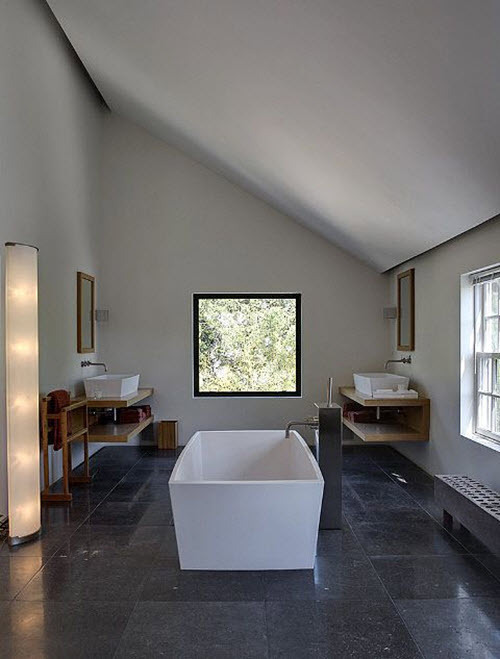 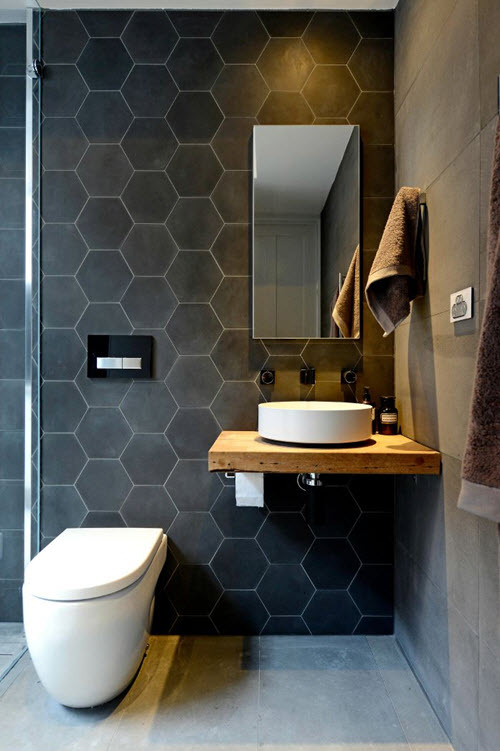 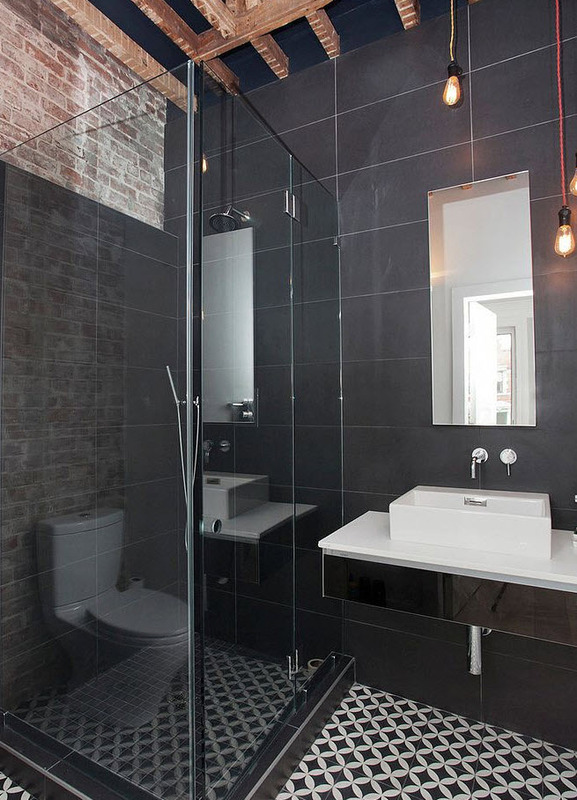 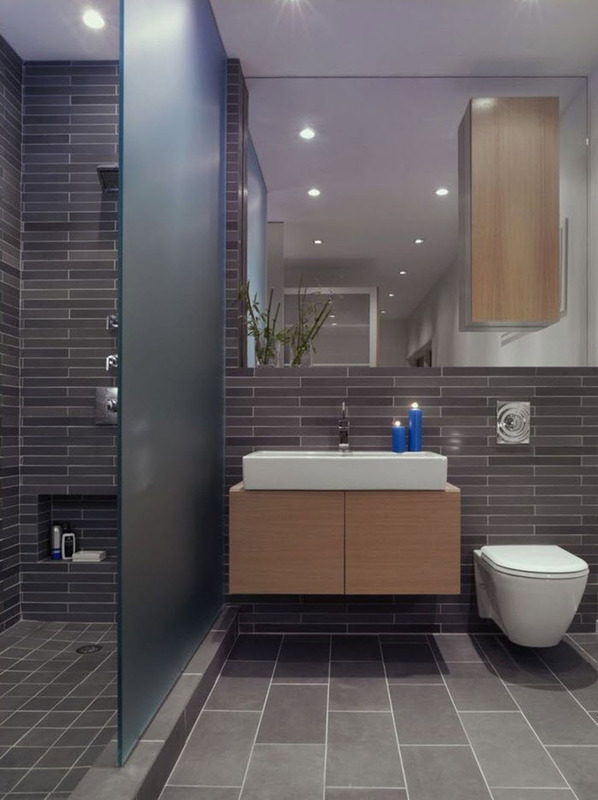 Grey bathroom tile comes in huge range of shades, sizes, shapes and textures. 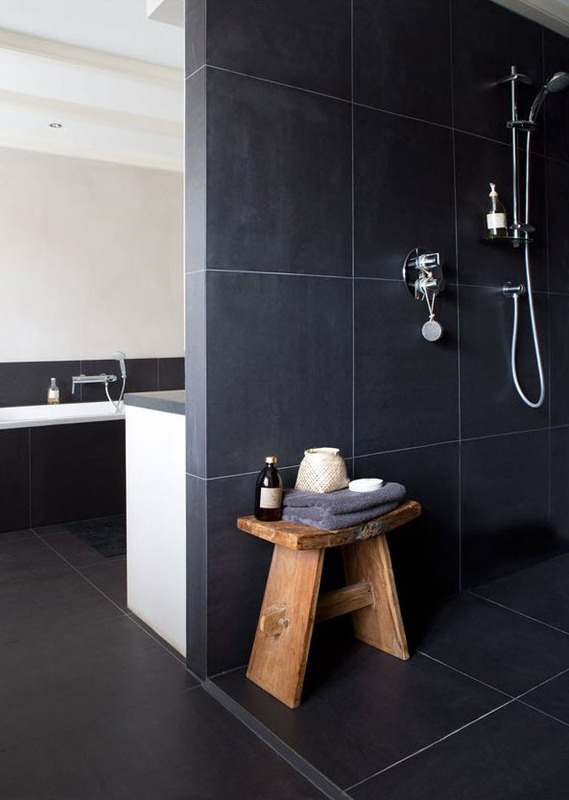 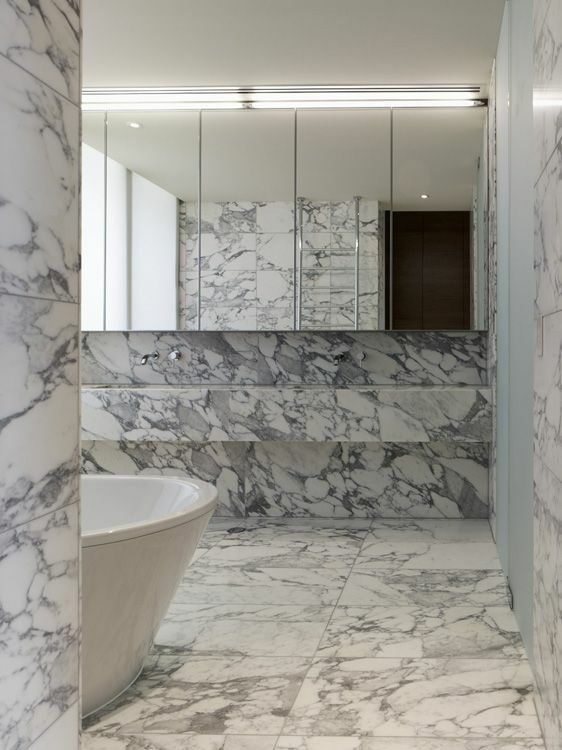 It can be used for walls and floor finishing – in this case it’s better to use durable materials like ceramics, marble and slate tiles. 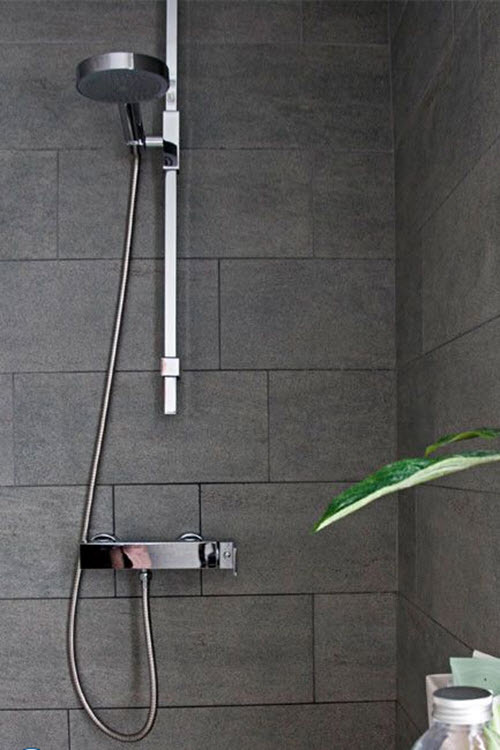 It can also add unique twist to your shower or bathtub area. 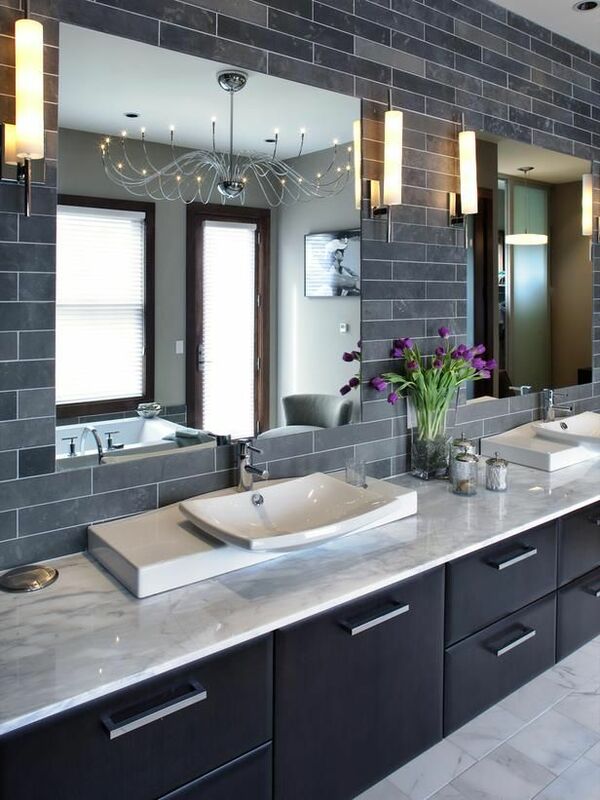 Grey is the color of elegance and noble atmosphere. 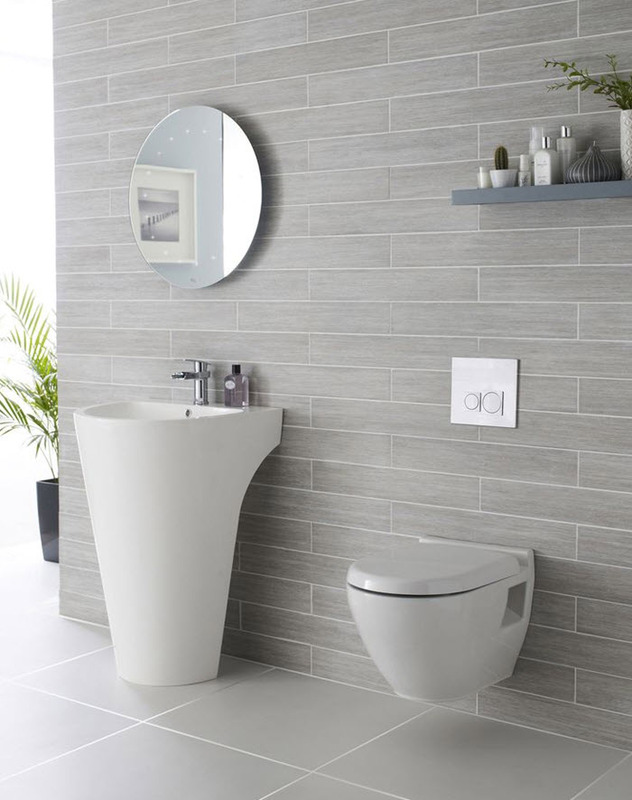 A perfect option for those who want to create minimalistic bathroom interior or make a place where you can rest in calmness and comfort. 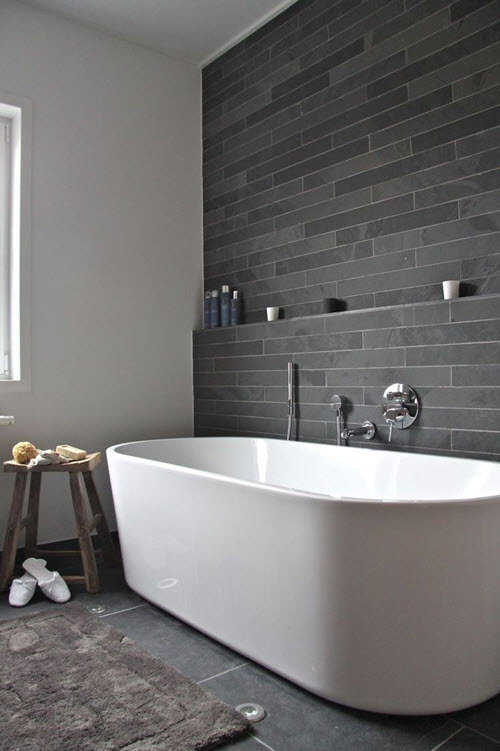 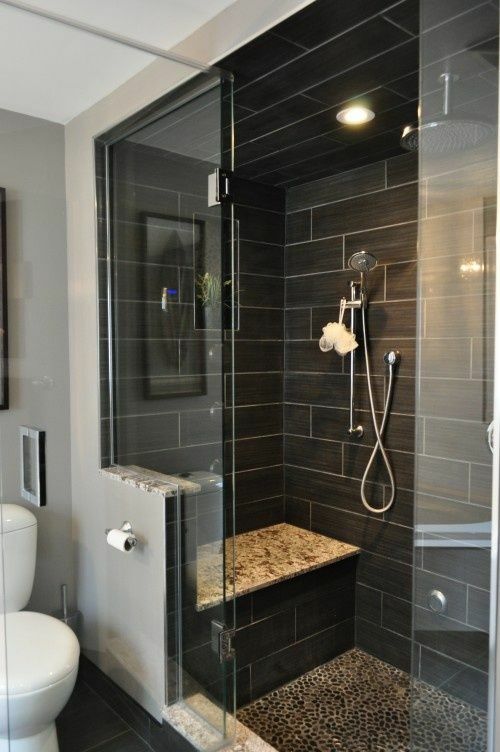 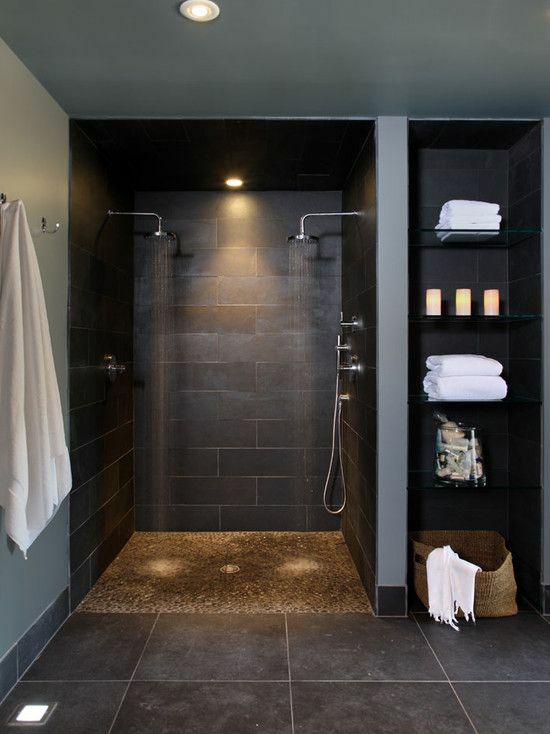 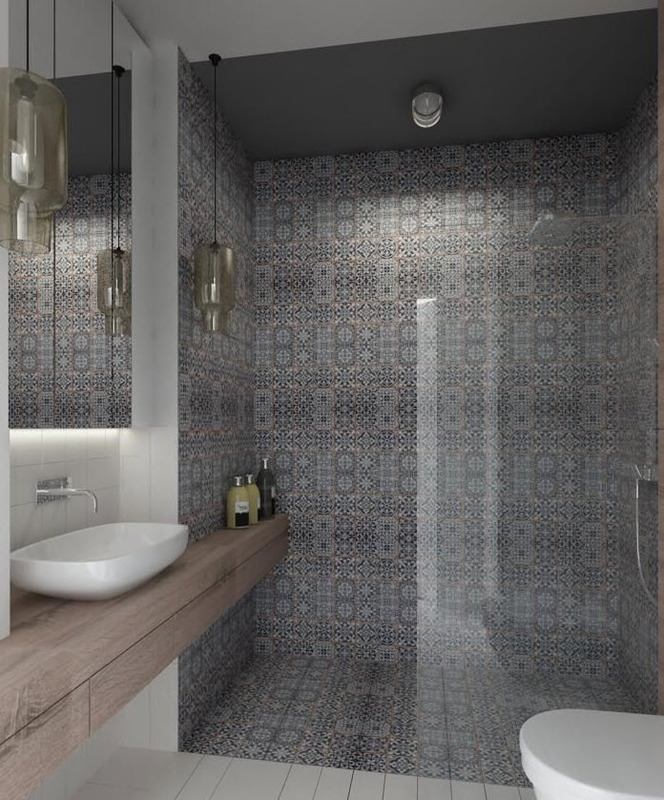 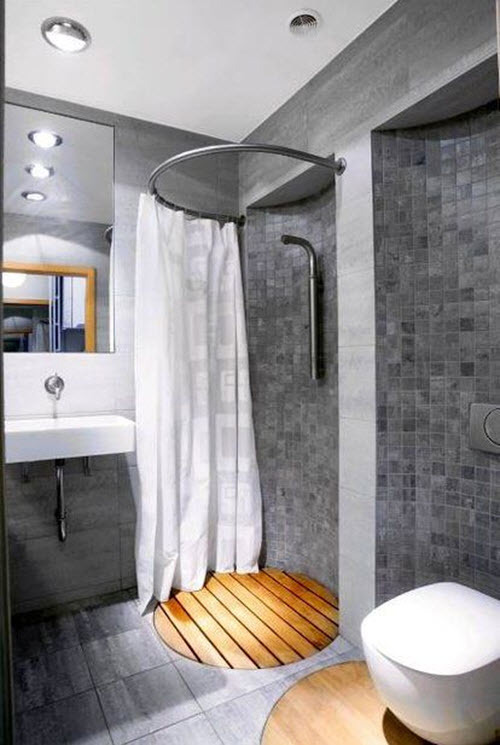 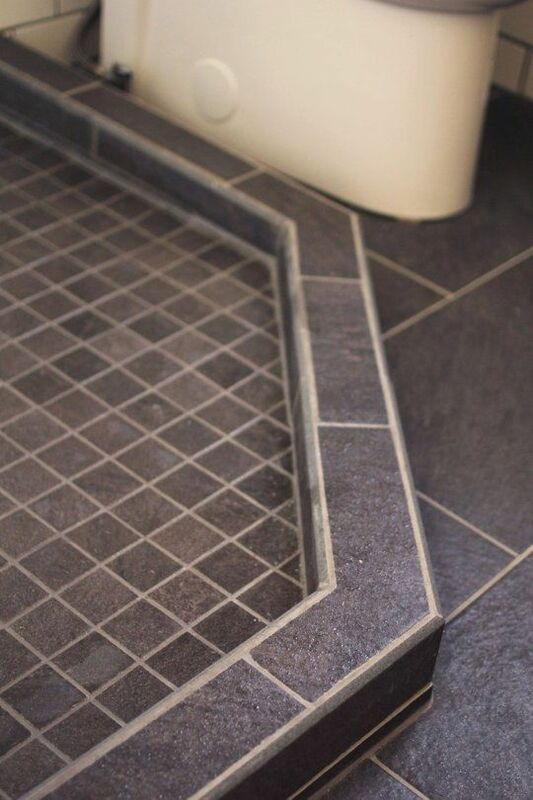 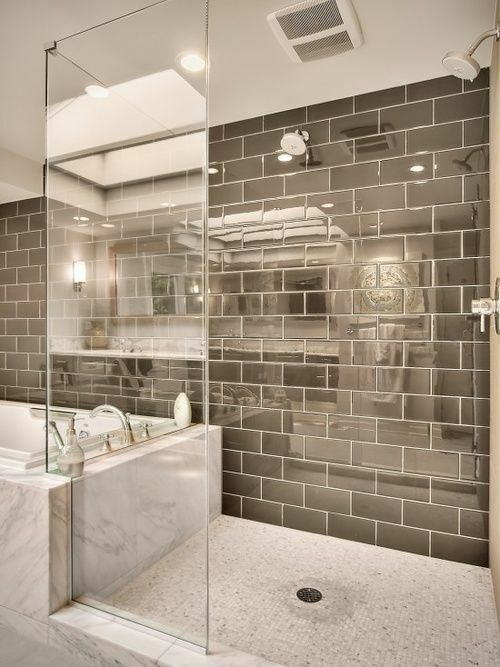 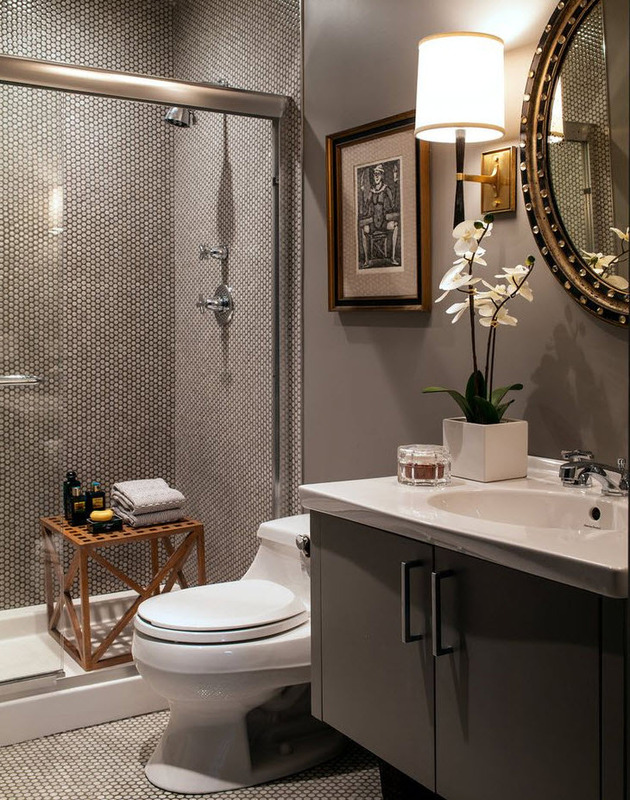 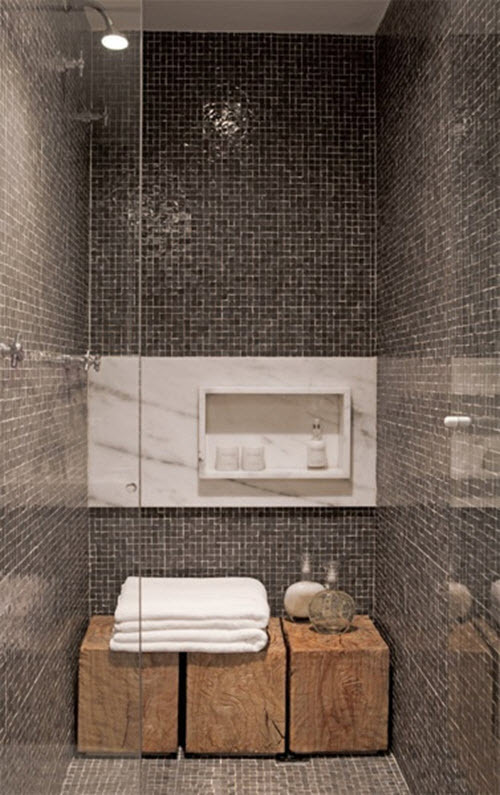 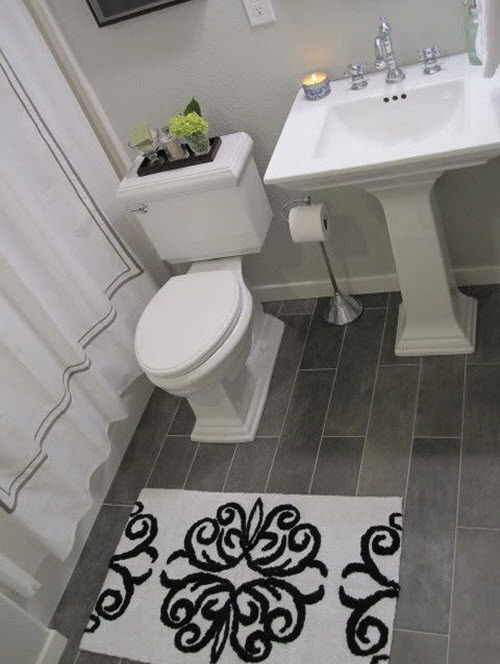 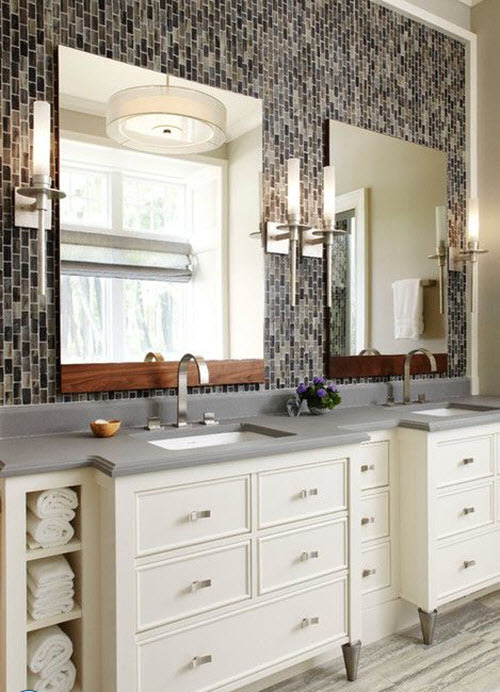 Our photo ideas below will help you decide upon how to use grey tile in the bathroom best.